Exterior Finishes Archives - Goosebay Sawmill and Lumber, Inc.
HALF & HALF from the Real Milk Paint Co. is a blend of pure tung oil and a pine oil solvent. 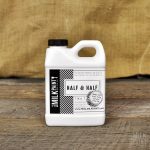 Half and Half is safe for food contact items. Tung Oil (Chinawood oil) is a hard drying wood oil that provides a lustrous and beautiful finish. It resists marring, penetrates well, and is environmentally friendly. The Real Milk Paint Company provides the purest, highest quality you’ll find. All natural, food safe, and creates a flat finish. FDA approved for food contact. 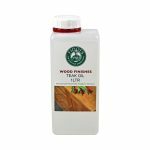 Fiddes Danish oil is a blend of Tung Oil and hardening ingredients that will give a durable and water resistant seal to interior and exterior wood surfaces. Fiddes Teak Oil is a deep penetrating oil for outdoor architectural work and outdoor furniture. It will not flake or chip. 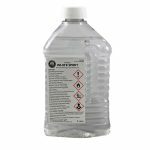 Fiddes White Spirit is a high grade mineral spirits. 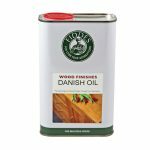 It is the recommended thinner for Clear Glaze, and is the appropriate thinner when used in small amounts in Hard Wax Oil and Danish Oil.